If you are looking for a great double stroller that is sleek, classy, convenient to use and comfortable for your babies, then the Baby Jogger City Select Stroller with 2nd Seat, is the double stroller for your family. 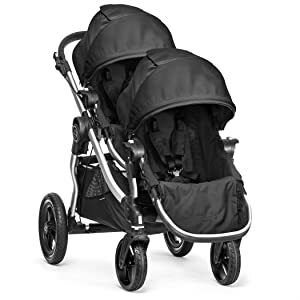 If you are looking for a great double stroller that is sleek, classy, convenient to use and comfortable for your babies, then the Baby Jogger City Select Stroller with 2nd Seat, is the double stroller for your family. It is very compact for a double stroller. It comes with sixteen unique positions for double carriage, and can even function as a single stroller if you are not travelling with your second child, or you bought it with a long-term vision that soon you will need one that can carry two babies. Both seats can fully recline at the same time, and both have great canopy coverage. More importantly, it has a lot of safety features which include a five-point harness, handle breaks, as well as a manually-locking front wheels. The ride is smooth as well because of the exemplary suspension mechanism. It is easy to maneuver, and is narrow enough to fit all doors. It folds up easily, and folds flat so as not to occupy too much space in your vehicle. It also has a wide storage basket. The Baby Jogger City Select Stroller with 2nd Seat Onyx comes with adequate safety features that are enough to put your mind at ease. The two-step break mechanism are in the handle bars, and the front wheels can be manually locked. It also comes with a five-point safety seat harness that is not difficult to fasten. It is also very sturdy and is not prone to tipping over. This double stroller promises a smooth ride for your children even on uneven surfaces. 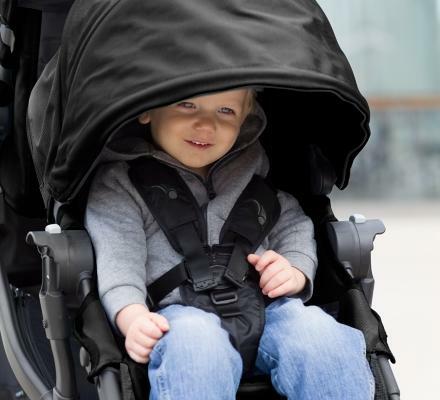 The great suspension systems cushions the kids from the uneven terrain, enabling your babies to sleep soundly even if the road that you are strolling into is not well-paved. There are also foot wells, as well as large canopies that could shield your kids from harsh sun rays, or protect them during the cold weather or rainy season. It can also be adjusted into 16 different seating positions to ensure the pleasure and convenience of your children. More importantly, both seats can be fully reclined, unlike other double strollers in the market. All seats and harnesses are padded to ensure comfort to your youngsters. 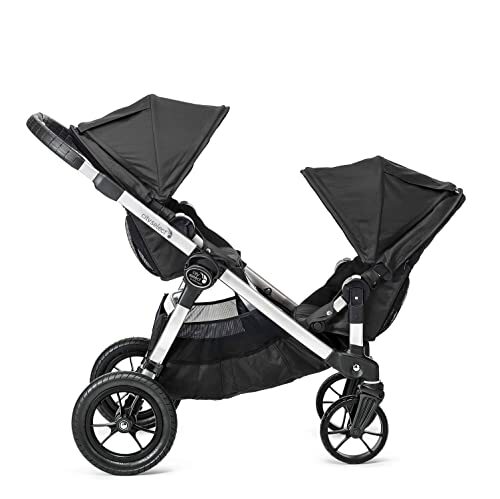 The Baby Jogger City Select Stroller with 2nd Seat Onyx, can accommodate most infant car seats for your convenience. It has adjustable handles for taller parents and caregivers. The double stroller can easily be packed away, in view of its one-step folding system. The great thing about it is that it folds flat enough not to occupy too much space in your vehicle’s trunk, or your home storage. 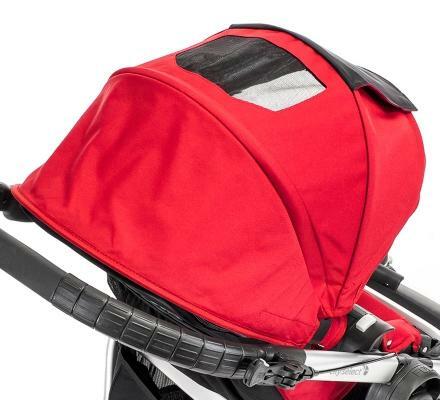 It is easy to spot clean, and it comes with a magnetic canopy peeking window so you can quietly check on your babies without having to disturbing them. Another great feature is that it has a very large storage basket underneath the two seats which are not obstructed by any of the two carriers. The basket can hold a bigger bag, and since the basket is made of mesh fabric, you can easily see what is inside. It also has a back seat pocket which parents can use for loose change, keys, and even a mobile phone. 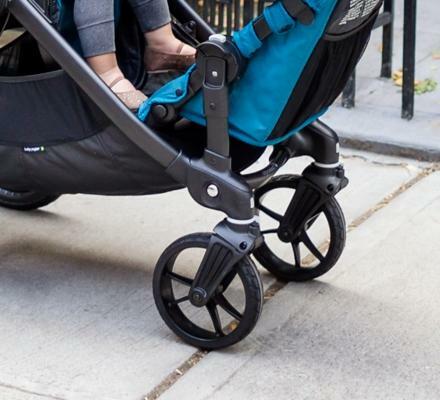 The tires do not need to be inflated from time to time as well, and they come off easily when you need to store the stroller. It is also very easy to re-assemble. As your children grow bigger, you do not need to rethread the harnesses to accommodate their growth as it comes with a safety hook that you can just adjust as needed. Has 16 positions to choose from for tandem riding. This double pram promises to accommodate whatever viewing and seating pleasure your children may have, and at the same time allow you to seat your children at your convenience. 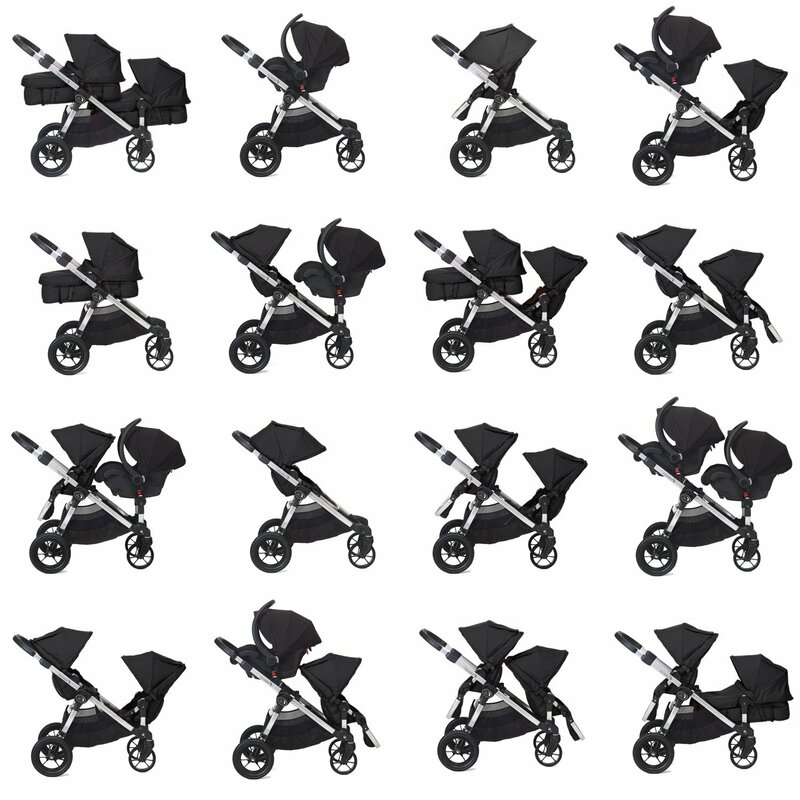 The Baby Jogger City Select Stroller with 2nd Seat Onyx, has 16 seating positions to choose from. Great maneuverability. 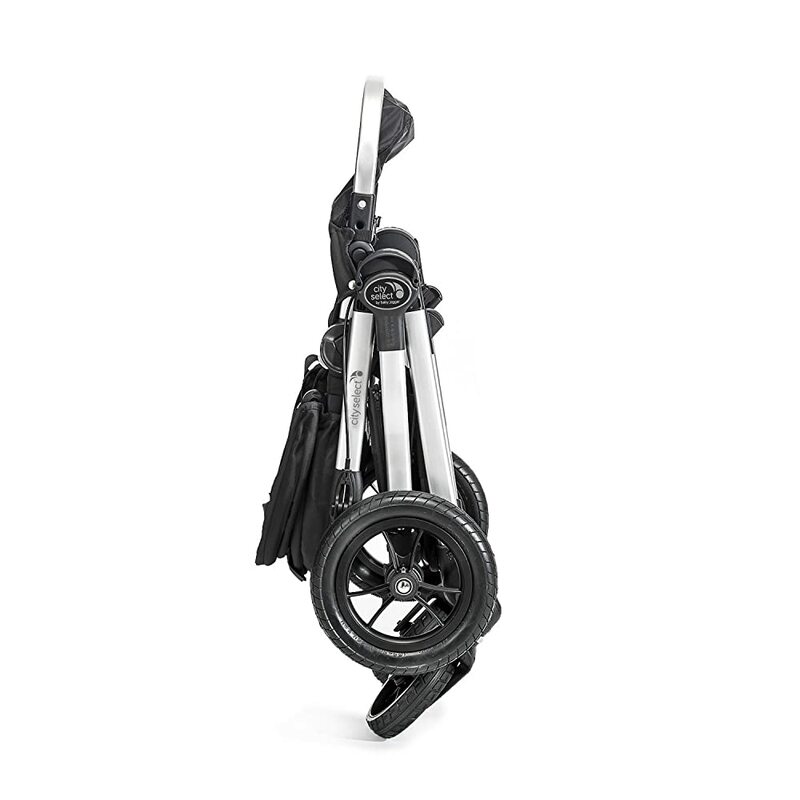 It is very easy to maneuver unlike most double strollers that are bulky and heavy to push. It is narrow enough to fit even in smaller shop doors. It is great for indoor and outdoor use, because of its sleekness, and at the same time superior suspension system. Compact folding. Apart from it being very easy to pack away, this double stroller folds flat and sleek compared to other similar strollers in the market. This means that you can store more stuff in the trunk of your car, even if you have this stroller in there. Convertible to a single stroller. If you are thinking about the long haul, and you plan to have more than one child, then this could be the stroller for your family too. All you have to do is when number two comes along, buy the second seat and the adaptors that come with it. Great Storage. The large big basket underneath can accommodate stuff that will be needed by two babies. The basket comes unobstructed by any of the seats, so you can easily access whatever it is you have stored in there. The back seat pocket also come in handy for the parents who may need to store keys, a phone, and some change. Higher Price Point. This double stroller is among the higher-priced strollers of its kind. And since there are a lot of accessories which you may have to buy separately such as cup holders, consoles, and the second seat plus its adaptors – you may really need a bigger budget. No snack and cup holders for both kids and the parent. The trays are sold separately, which, as mentioned, may jack up the total price of this stroller. Not ideal for taller toddlers. The foot well of this double stroller may not be adjusted enough to accommodate a bigger-sized toddler. And although it can sit up to a 45-lb. kid you may have concerns about dangling feet. It is very compact for a double stroller. It comes with sixteen unique positions for double carriage, and can even function as a single stroller if you are not travelling with your second child, or you bought it with a long-term vision that soon you will need one that can carry two babies. Both seats can fully recline at the same time, and both have great canopy coverage. If you do not mind the price, and your kids are a bit petite, then this double stroller is definitely the stroller for your family. It is great that it can be configured into a single stroller, and then adjusted to accommodate a second stroller in quick and easy steps. It is also great that the kids will have a lot of seating options. More importantly, if you have young babies, the stroller can accommodate infant car seats – which is great so you could just transfer them from the car to the carriage. The convenience, as well as the compact-features of this double stroller, plus of course the very comfortable and safe ride, really make up for its steeper price. Be sure to check the most suitable stroller at our buying guide here best double stroller reviews.